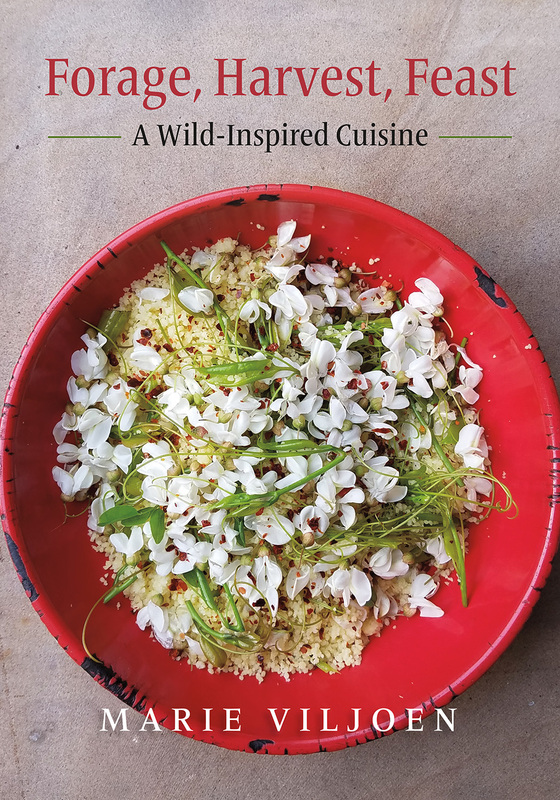 "The renewed interest in foraging wild foods has inspired many new cookbooks, but none is as comprehensive as Marie Viljoen’s Forage, Harvest, Feast: A Wild-Inspired Cuisine. Viljoen is a writer and wild foods evangelist who packs nearly five hundred recipes for thirty-six wild plants into her well-illustrated, playfully written book. The emphasis is on plants that can be sustainably harvested or which have potential for commercial growing, such as lamb’s quarters, serviceberries, and nettles. Gardeners will be doubly delighted to learn how to transform traditional weeds and invasive plants into tempting dishes. How soul-satisfying to turn the chore of weeding out destructive garlic mustard and pesky purslane into harvesting for pesto or a refreshing gazpacho. While the author stresses that her cookbook should be supplemented by field guides and other plant identification resources, she does include information about when plants are ready to harvest, botanical history and lore, and pointers for home and small-scale cultivation. An important bonus are the frequent descriptions of the amount of labor involved in harvest or preparation of recipes; most recipes are simple enough for novice cooks, but it is helpful to know up front when their preparation will require lengthier or trickier cooking or abundant amounts of elbow grease. Recipes range from classics like Elderberry Syrup to boldly flavored concoctions like Bayberry Back Ribs and Pokeweed with Anchovy Butter. A smattering of sophisticated cocktails round things out, including Black Ice (fir vodka, black chokeberry syrup, and vermouth) and milkweed-based cocktails like Migration and The Monarch. Forage, Harvest, Feast would be a great addition to the shelves of any outdoors enthusiast, small farmer, gardener, or adventurous cook." "Viljoen, a former garden designer, shows readers how to take advantage of the tremendous culinary opportunity that foraged foods offer. Through 500 recipes, she explores the culinary possibilities for 36 wild plants, most of which, like dandelions, quickweed, honeysuckle, ramps, and pawpaw (if you live in the South) are easily found. Infusions with spirits, namely the neutral vodka (try fir twigs, Viljoen suggests), rum (black cherries) or the already herbaceous gin (bayberry, elderberries) are easy entries, as is brandy (persimmon). Viljoen offers an array of recipes for each plant—21 for field garlic, and another 18 for ramps alone. Such dishes as lamb’s quarter and beet leaf phyllo triangles, a dandelion pad thai, pawpaw ice cream, and a citrusy spicebush and tequila skirt steak are sure to whet readers’ palates. As long as readers heed Viljoen’s explanations—typically related to sourcing, preparation or, in the case of ramps, sustainability—they’ll be set. The book’s imaginative yet practical recipes make it one of the best resources of its type. It’s a terrific entry point for would-be foragers, as well as experts interested in making the most of their bounty." "The most radical reaction to industrialized cooking has to be the current revival of harvesting edible wild plants in local environments. One of the earliest experts in this sort of anti-agriculture is New Yorker Viljoen. She has led many to scour the abundant wild growths of urban areas and turn them into inventive cuisine. Reading through the hundreds of recipes in this book leaves the classically trained cook at a loss since so many of the ingredients lack recognizable culinary names: fir, knotweed, serviceberries, spicebush. Yet, these recipes also feature all sorts of familiar meats and fish as basic elements of a dish. Much of the text lays out the necessity for foragers to distinguish the edible from the potentially toxic, and this requires some experience. Lest anyone think that this sort of cooking is for the abstemious only, Viljoen concocts dozens of liqueurs and unique cocktails sure to star at anyone’s party. A valuable addition to any forward-looking cookbook collection." Marie Viljoen is a writer, forager, gardener, and cook, and has loved edible plants since her childhood in South Africa. 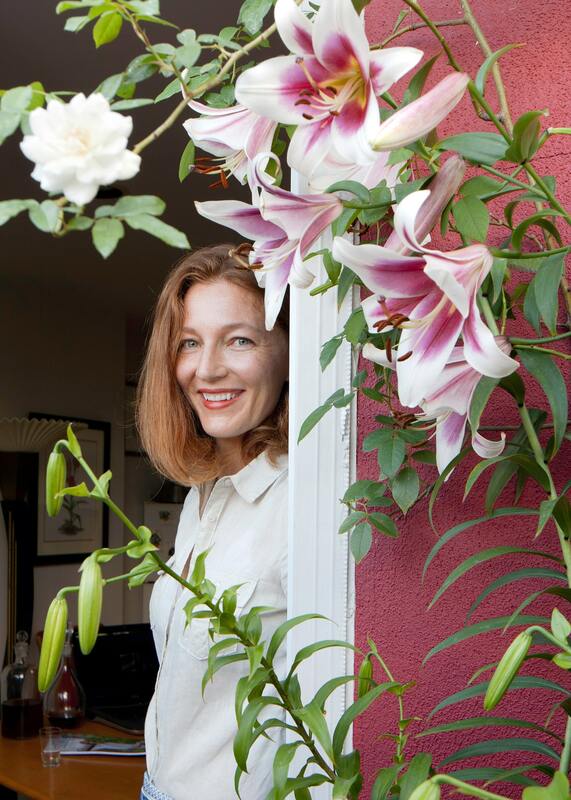 The author of 66 Square Feet, her urban and edible gardens have been profiled by The New York Times and Martha Stewart Living and appear in several books. She is the resident forage expert for Edible Brooklyn and Edible Manhattan magazines and a contributor to Gardenista. Her stories and photographs appear in Saveur, Better Homes and Gardens, and many other publications. Marie leads sought-after seasonal wild plant walks in New York City, where she lives in Brooklyn with her husband, Vincent Mounier. Find her daily projects on Instagram @66squarefeet.